September - November 2018: Directing Spring Awakening The Musical Books/Lyrics by Steven Sater and Music by duncan Sheik at Yale University in association with the Yale Dramat. Engaging the Yale community in conversation through a theatrical experience with a cast of Yale students and a professional design team. August 2018: Directing The Boehner Sisters written and performed by Natalie Rich and Rosa Palmeri as part of The Tank's Summer LadyFest. A vaudeville inspired clown show exploring the pursuit and pitfalls of American Fame and the struggle to make it result in these two Hungarian Strong Women shooting themselves and their dreams out of a cannon purchased conveniently from IKEA. July 2018: Directing Snow White written and Adapted by Marjorie Sokoloff for the Hangar Theatre's KiddStuff series featuring the 2018 Lab Company. Also featuring a free to the public sensory friendly performance for children and families on the autism spectrum. 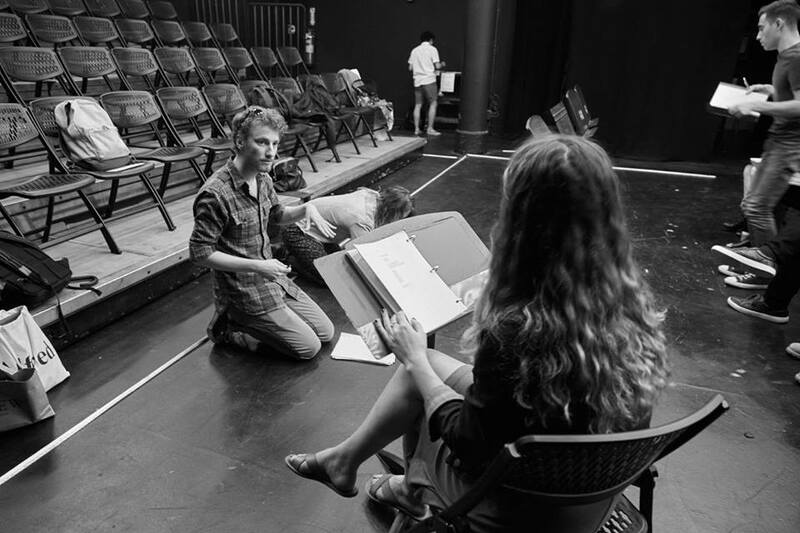 June 2018: Directing Far Away by Caryl Chruchill at the Hangar Theatre's Wedge Series as part of the 2018 Drama League Directing Fellowship. The entire summer will be spent directing and leading the 2018 Lab Company for the Hangar Summer Season under the artistic direction of Michael Barakiva. June 2018: Exposed bone is extending due to popular demand one final weekend June 21-23rd! Come join the fun one last time! May 2018: Thrilled to be selected as a 2018 Drama LEague Directing Fellow. After being honored at the Drama league awards, the summer will be spent at the hangar theatre in ithaca, ny directing and training as a future artistic director. Spring 2018: Exposed Bone will be returning to the PIT Loft for an extended run April 26th - June 8th! September 2017: back in Bloomington, Indiana directing the opening show of Bloomington Playwrights Project 2017-2018 Season. Beating A Dead Horse by Jenny Stafford, the 2017 Reva Shiner Comedy Award Winner. Summer 2017: accepted and attending the lincoln center directors lab. three intensive weeks will be spent with 60 other directors from around the world sharing work, ideas, and our vision for the future of theater. March - May 2017: As recipients of The Tank's Brunch Residency Ivey Lowe, Max Reuben, Jillian Carucci, and Andrew Willis-Woodward gathered a group of artists to create a new play using Tectonic Theater Project's Moments Work technique. 8 Sunday's were spent generating material that ended with an open rehearsal with audience discussion after. We are seeking future residencies to continue our work on the project. May 2017: directing Happily After Ever written by laura zlatos, the 2017 Woodward/Newman Drama Award winner, at Bloomington Playwrights Project in Bloomington, Indiana. March 2017: continuing development on The ALLies by charlie O'leary with a 29 hour workshop produced by patti miller.